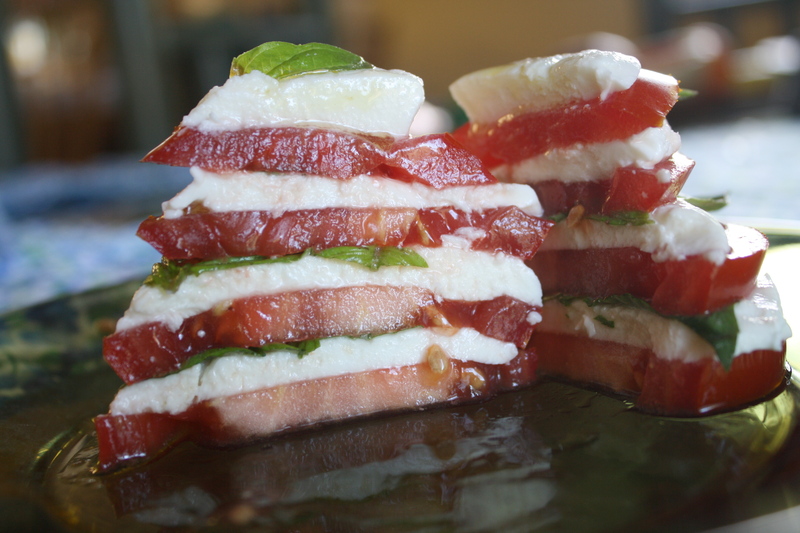 Layer one slice tomato, one slice mozzarella, and one basil leaf. Repeat three times. 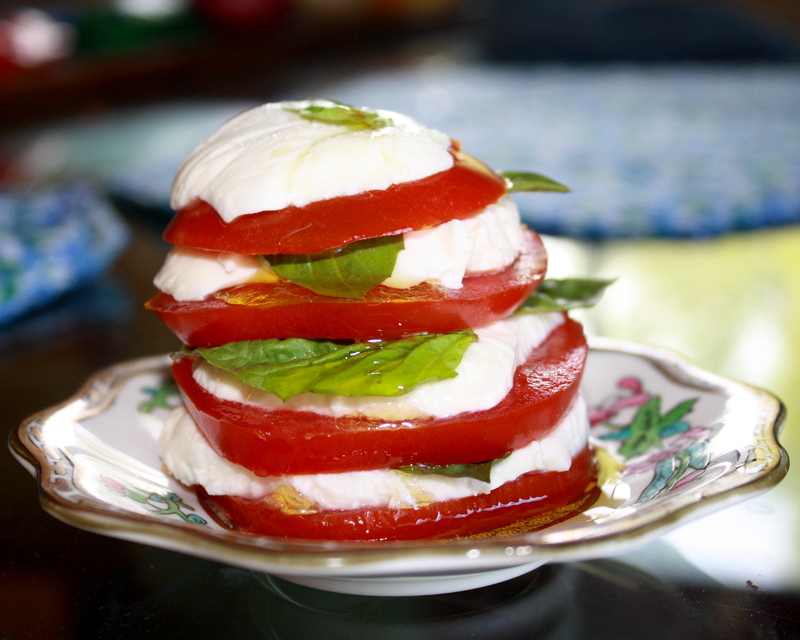 Drizzle with olive oil, sprinkle with salt and pepper, and serve. It couldn’t be easier! 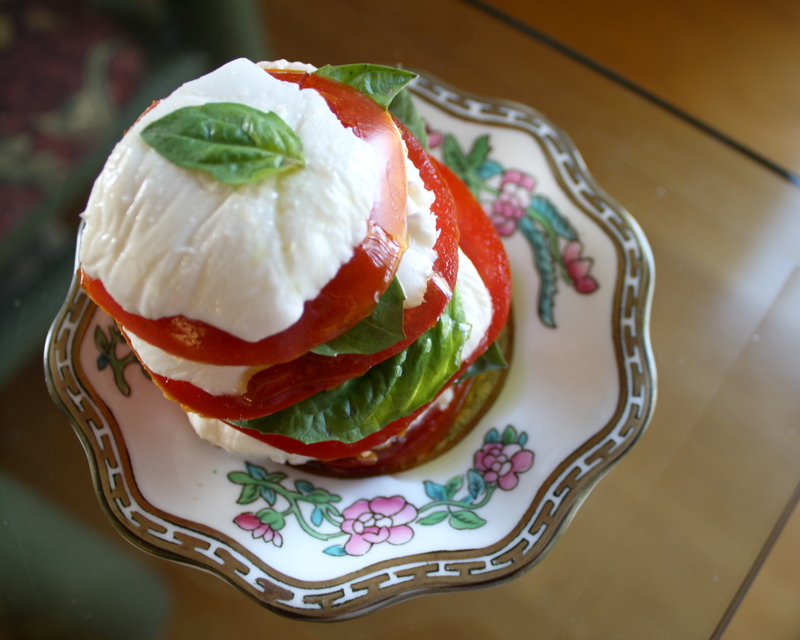 This entry was posted in appetizers, cheese, salad, vegetables and tagged appetizer, basil, easy, fresh, mozzarella, olive oil, party, salad, tomato by Laura Zolnoski. Bookmark the permalink.